I began considering the binding methods, and production processes which I would experiment with in regards to the look book and business cards. 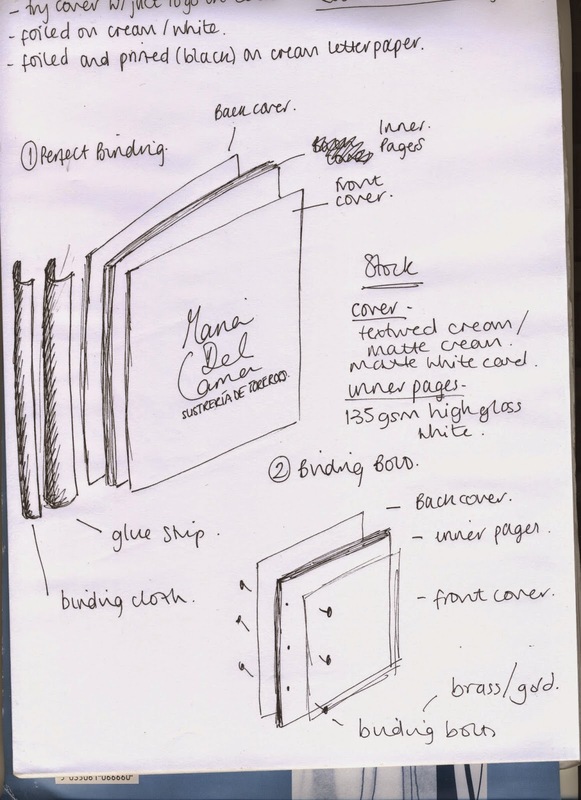 The sketches below summarise my thoughts on this, using perfect binding for the look book and triplexing for the business cards. I also wanted to try binding bolts, however I am having difficulties finding these. I have also purchased some Buckram cloth in Red to try on a mock-up look book/business card to see how this looks when in practice. In terms of stock I wanted to experiment with white, cream and old fashioned letter paper, as an alternative and unusual choice of stock. 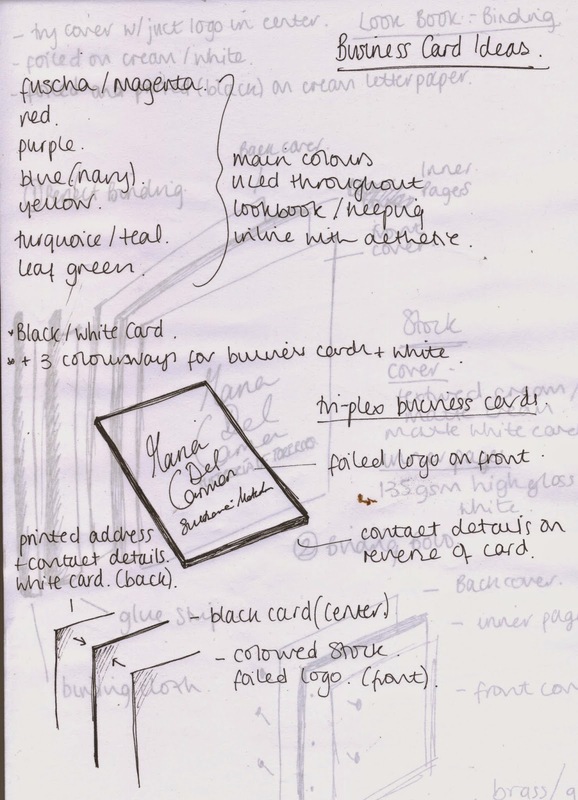 I also began considering processes such as foil blocking the logo on the business cards, as noted on the drawing below. These are process which I want to experiment with first before making a final decision on the overall aesthetic to be used.